To the evangelical fundamentalist Christians who seem to talk an awful lot about Satan and how "he's gonna get you" unless you grovel before Jesus, do you regard Satan as a god of equivalent power to the primary one(s) in which you claim to believe? Is Satan the evil counterpoint to your main god in such a way that they are equally powerful and sort of balance each other out so that neither has an advantage? No, I imagine you probably don't see it that way. Your god(s) has to be more powerful in every way. 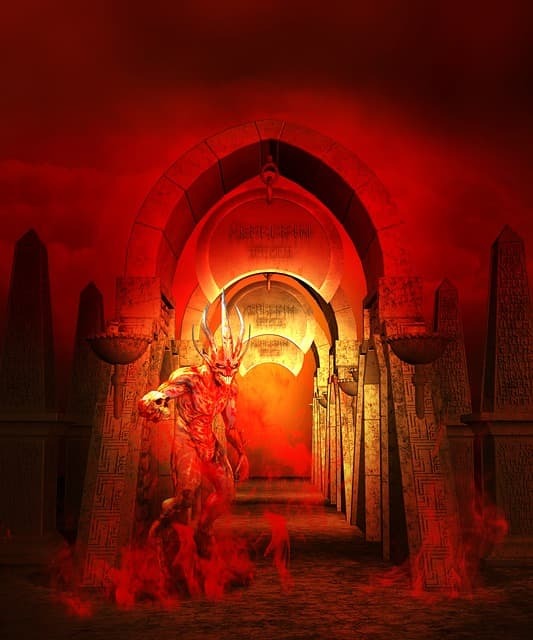 Satan is merely a "fallen angel" (whatever that means) and nowhere near as powerful as your god(s). If that's the case, why doesn't your god(s) eradicate Satan once and for all? Wouldn't our world be a much better place without him? Most Christians claim to believe in at least one powerful god and believe that it often intervenes in human affairs. For some, this power is unlimited and an important part of what it means to be a "god." Many evangelical fundamentalist Christians seem to believe that Satan is fairly powerful too, perhaps not compared to a god but certainly far more powerful than we feeble humans. Many also seem to believe that Satan uses this power to intervene in human affairs too. Unlike god(s), Satan's intervention is negative and is something we'd all like to avoid. Why then, do these Christians not pray to their god(s) to defeat Satan once and for all? And if they truly believe their god(s) is benevolent, why would they excuse it from failing to do so? I suppose one could solve this puzzle by asserting that Satan is actually a god and that no other god has sufficient power to destroy him. I have not heard many Christians making that claim. Perhaps one could also solve the puzzle by asserting that the presence of Satan is a necessary aspect of how the moral universe maintains balance. The primary god(s) is good, Satan is evil, and this balance is necessary for reasons humans cannot understand. I have not heard many Christians make this claim either. Perhaps Satan is a tool used by the main god(s) to test humanity in various ways. I have heard some Christians say something along these lines, but it has always struck me as inadequate. 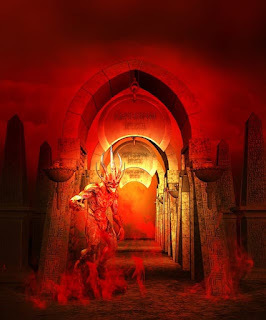 If their god(s) controls Satan, then how is Satan not merely an agent of their god? Is it any wonder that more liberal to moderate Christians spend relatively little time talking about Satan and hell? I think they recognize some of the problems associated with this stuff and prefer to steer clear of it when possible. The evangelical fundamentalist Christians do not have this luxury because they have made Satan and hell vital to their worldview. In fact, I think one could argue that some evangelical fundamentalist Christian pastors spend nearly as much time trying to scare their congregants with hell as any other topic. Without it, the appeal of salvation becomes less clear.